I'm here with another Christmas card for The Rubber Buggy. I've stamped the sentiment on acetate with white staz on, but it didn't come out as opaque as I wished. (I think I didn't do a very good job reinking the inkpad...) But I think it really looks like steam on a window, doesn't it? The trees are made really quick and easy - I just stamped them in pine needles distress ink and die cut them as they were. The other images are copic colored. Just like my other card from last week HERE, I changed the stamen to a flatback bling instead. It's also colored with a shimmer spray. I used LSG silent night silver, but you can find a ton of colours in the store from Prima Color Bloom. 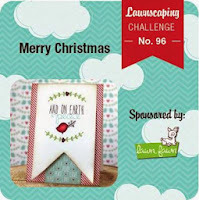 The star night background is Maja Design paper just as it is. Love! 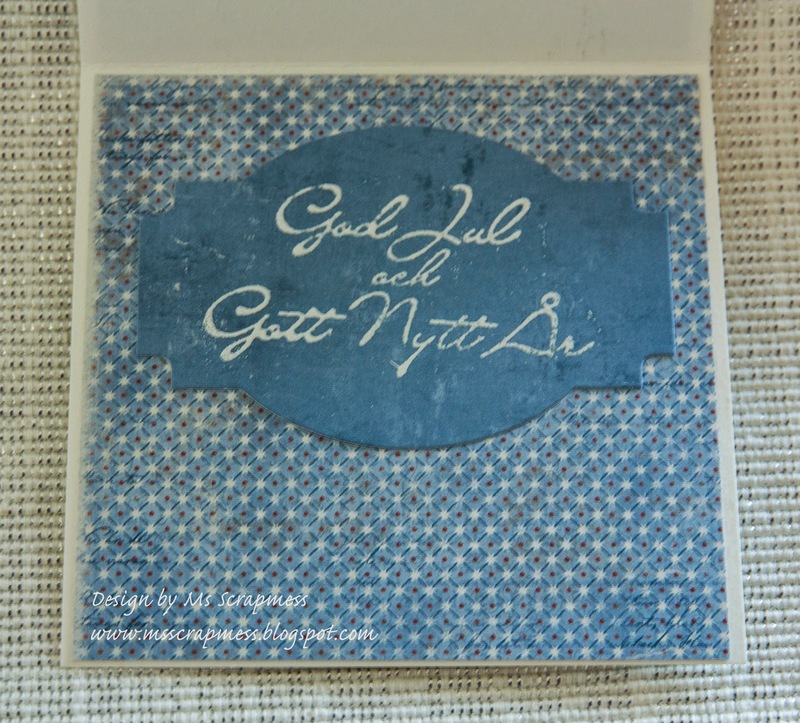 The inside of the card is also made with design paper from Maja Design. 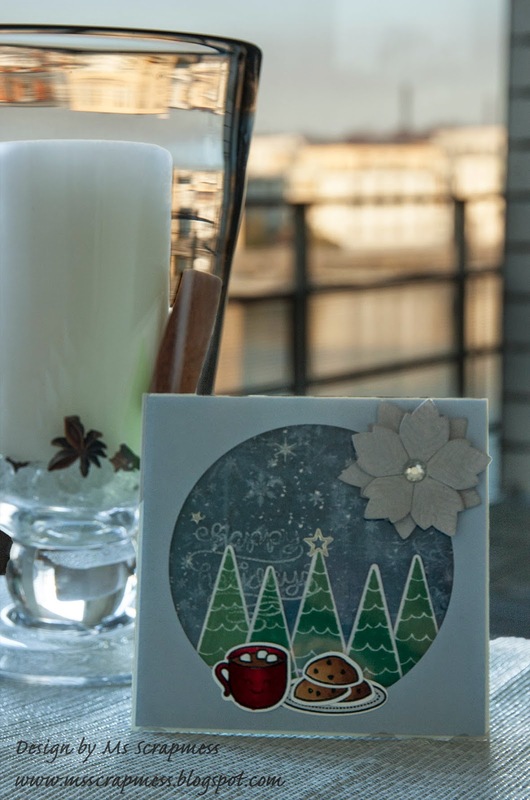 The greeting is heat embossed with Ranger white superfine embossing powder, which reads "Merry Christmas and Happy new years".